Films truly unite people from different backgrounds all over the world, coming together at the cinema. As the movie is going on in front of our eyes, what is interesting is what goes on in our brains. Though we carry our scars with us, we seem to experience identical thoughts and emotions – humor, excitement, outrage, horror, pleasure and so much more in that little room. In Sri Lanka, people turn out in large numbers to watch the latest marvel comic movies and other movies produced in America while the local cinema industry is very much appreciated. This is one reason why Global Media Makers Staff and Mentors Michael Donaldson and Shari Pagewere here in Sri Lanka. GMM see in Sri Lanka the potential to learn from our filmmakers. 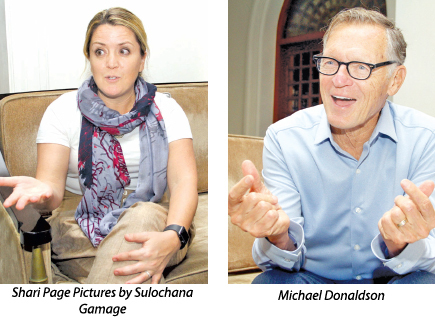 Daily News met up with Donaldson and Page and discussed what GMM has in store Sri Lanka - a six week residency in Los Angeles for mid-career film makers whether they are a producer, writer or director. “I’m here on behalf of a programme called Global Media Makers, which is a partnership between Film Independent in Los Angeles and the U.S. Department of State’s Bureau of Educational and Cultural Affairs. It is a collaboration that has been in place since 2016, and this is the fourth year of the programme. In the past three years our main focus has been, working with film makers from the Middle East, Northern Africa and Turkey. And now we are broadening our scope into South Asia, so we will be working with Sri Lanka - one of the countries that we are looking for to form creative connections with film makers. One of the things we are offering is a six week residency in Los Angeles for mid-career film makers whether they are a producer, writer or director,” said Shari Page who joined the Film Independent team as the Senior Programme Manager for Global Media Makers in 2016. The two met with nominated film makers and local film organizations to learn about the film industry here. For them it was an opportunity to talk to people and make connections and learn about the film culture and television culture and how artists operate in Sri Lanka. Page pointed out that what is most interesting is that there are similar challenges that all film makers face everywhere. One is the proper distribution. Another challenge is financing and getting a crew together to create your project. Those are some of the challenges they work with in Los Angeles. The idea is to bring film makers together, and have them talk about ways where they have created solutions to those challenges and how they can form a network to help each other. GMM have visited countries like India, one of their teams went to Nepal and later next year will be going to Pakistan and Bangladesh. “What is so impressive to me is that in India everywhere we went people said –‘oh you want to meet independent film makers, it is all the women and their work is amazing’. I think it was because a lot of women have not been given as much opportunity to make some of the bigger films like Bollywood films. But everyone was really excited about the rise of the independent films specifically in South India. A lot of independent films are coming out and people are making their own projects whether it is on the phone or YouTube channels. People are definitely cultivating that culture. I am really excited to learn more about Sri Lanka. There is a lot to learn and a lot of film makers to meet,” explained Page. She noted that one of the most important things in this programme is that they are looking to nurture stories. “Local film makers are addressing issues of local importance about their local community. The stories could be about women’s issues or families and LGBT stories. All the stories that are out there need to be told. We all come from diverse communities. Everyone’s story needs to be told, not just one story over and over again. Some of the smaller independent films have universal themes that need to be told because people all over the world can relate to and understand them,” she said. Donaldson enthusiastically said the programme creates partnerships between film makers in Sri Lanka and film makers in America and around the world and in other South Asian countries. “A lot of Sri Lankan film makers think it is easy to get a film made in America. It is not easy anywhere. So when they get together as they will in Los Angeles, they will discover that they are not alone in this. They realize they have the opportunity to get their creations out and ideas are shared on how that can happen. We face the exact same challenges in USA that we find in other places in the world though they are solved differently. First and foremost is coming up with a good script. That is difficult and sometimes it has to be a team effort. An important element is the story telling. I think as film makers’ working together, their projects will become better. Another big challenge is getting a film financed. Everywhere in the world that is a problem. It does not matter what the economic system is, what the language is, there is no place in the world where it is easy to help get a film financed,” explained Donaldson. Donaldson said it is a challenge convincing people they should spend their hard earned money to come see a film. “Stan Lee who recently passed away, a giant in the filmmaking industry in USA, was a wonderful creative mind. He knew he was a genius. He was a very strong personality. He contributed in many ways to a style of movie making that has generated billions of dollars. He just had a flair for that. When he got started it was not a piece of cake. He was not the well- known Stan Lee when he got started. He was a struggling artiste who made little graphic novels and it was not totally celebrated when he began. But over time, people started liking what he did and that audience grew and that laid the foundation for Marvel films. The idea was –‘Let’s take these comic books and make them into movies’. Those films have been enormously successful. The important thing is it was not easy for him when he started out. His story inspires a new generation of film makers,” pointed out Donaldson. Donaldson is an entertainment lawyer who focuses on independent film. There are 12 lawyers in his firm and have worked last year on over 300 independent films. The firm work on the legal side and help the filmmakers get their creations out into the world particularly with such festivals such as the 39 films in Sundance film festival and other festivals in Berlin, Cannes, Venice and all around the world. The firm also helps filmmakers get their films out onto the internet which is important for independent films, because there are tremendous economic barriers to have a smaller independent film in theatres. 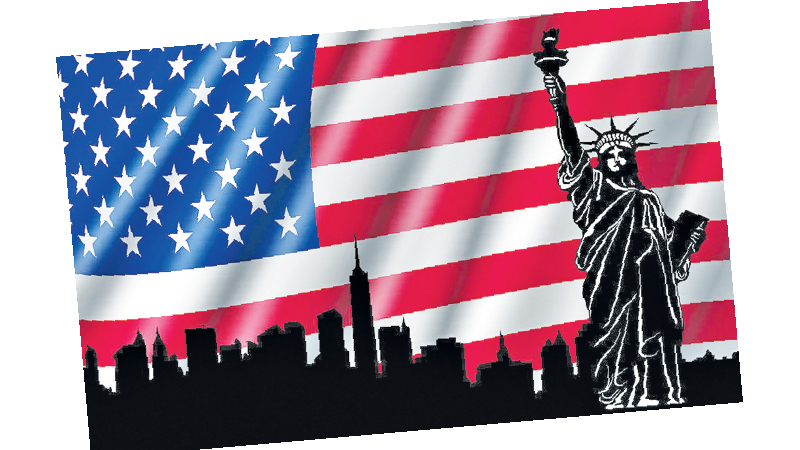 “It is very expensive in America. Economic barriers to theatrical distribution are pretty severe but the internet distribution not at all. There are all kinds of ways to get a film out in the world and get money back to the film makers. We are just one firm. There are hundreds of entertainment lawyers in Los Angeles. All trying to get their clients work out into the world,” he said.